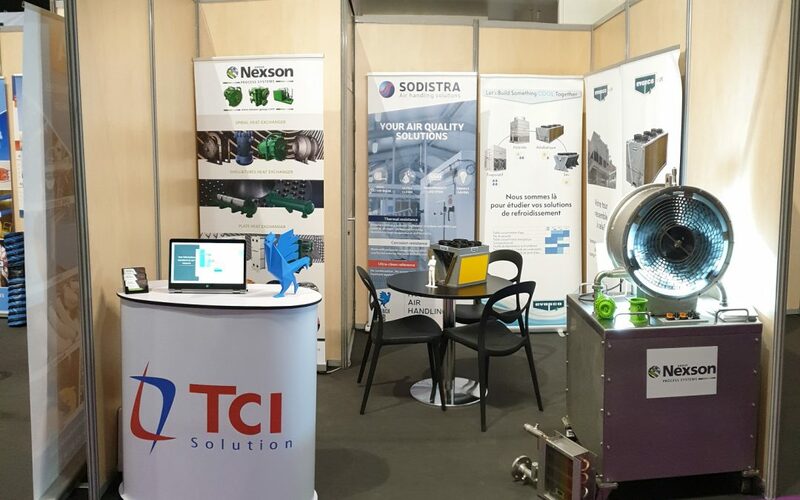 Nexson Group participated in the Sepem Industries Nord exhibition dedicated to the industrial sector held in Douai from 29 to 31 January 2019. The SEPEM show was an opportunity for Nexson to present its range of products and know-how that address the industrial issues at the heart of the plant: productivity, environment, heat recovery, … This participation was a great success for Nexson who had many contacts very interested in its products and solution. This suggests very good prospects for the future. Our team thanks David Brun from TCI Solutions for having represented Nexson at the show as well as all the visitors and partners present at this show.